Apple has announced pricing for its iPad tablet device and the good news is that it's cheaper than most of the tech world expected it to be. 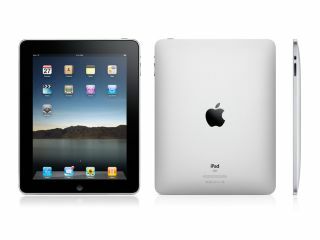 Starting from $499, the Apple iPad is available in three disk-sized flavours: 16GB, 32GB and 64GB. If you want to shell out less than $500 then you will have to purchase the 16GB version with Wi-Fi but no 3G. Adding 3G to your package is going to cost you an extra $129 ($629). The most expensive version of the Apple iPad is the 64GB 3G-ready version which will set you back $829 – still cheaper than those who were expecting the device to fly at around $1,000. If you are packing 3G, then you have the choice of the following data packages: $14.99 for 250MB data $29.99 for unlimited - via AT&T. As we expected, with the lack of UK press invitation, the Apple iPad isn't expected to arrive in the UK just yet. It seems that if you are looking for a UK release date for the Apple iPad, then it will be available in March Wi-Fi only. Of you want the 3G version, then start saving for some time in June or July - that's when the data carriers will be ready in the UK. The price is a relief for some who were thinking it may be much higher. Steve Jobs knows this: "If you listen to the pundits, we're going to price it under $1000, which is code for $999," he said in his keynote. "When we set out to develop this, we had ambitious tech goals, but we had aggressive price goals." The reason for the low-ish prices: "We wanted to put it in the hands of a lot of people." Couldn't have put it better ourselves.